Amblers metal free plain style, 3-Eyelet Safety Shoe. The Amblers Non Metallic Safety Shoe in ideal for those needing a metal free shoe at a budget price. Ideal uniform shoe where toe / midsole protection is required but use of metal detectors in the environment mean steel cannot be used. It is made from smooth black leather with 3 eyelets and a padded collar for all day comfort. The sole unit is anti-static, heat resistant to 200C and slip resistant. The dual density sole, including energy absorbing heel, is great news for both comfort and durability. The toecap is composite, tested to 200 joules of impact and is considerably lighter than steel. The midsole is penetration resistant to 1100 newtons. 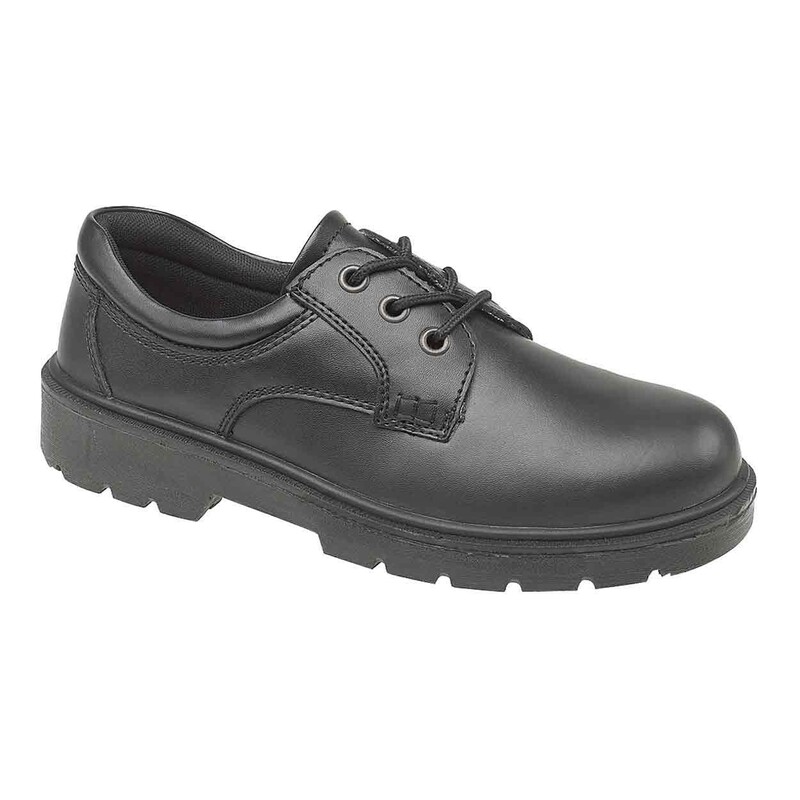 The Amblers FS38C Non Metallic Safety Shoe conforms to EN345 S1-P standard and is available in sizes 3 to 13.